How to Start a Profitable Blog for Beginners – step-by-step directions to setting up, growing, and monetizing your blog. Start making money doing what you love! 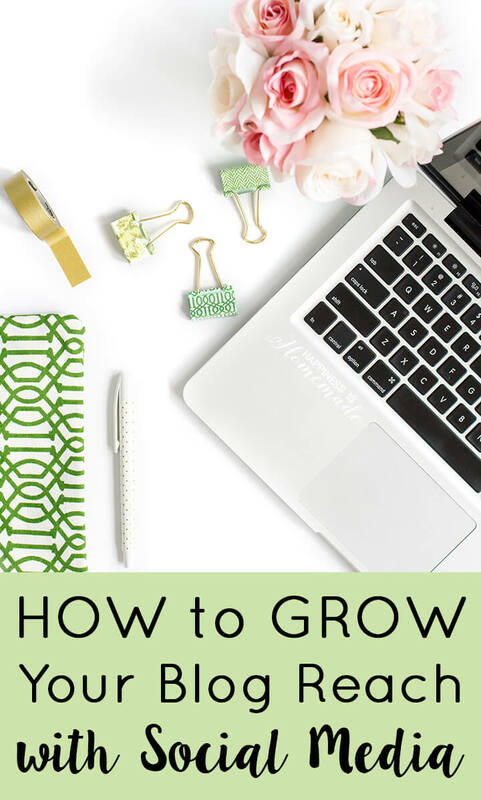 Part 4: Learn how to grow your reach with social media & online sharing. Welcome to Part 4 of the “How to Start a Blog” series (if you missed any of the previous posts, take a minute to check them out here!)! Last week we talked about how “content is king,” but let’s face it, you can write the most amazing content in the world, and if no one knows about it, no one is going to read it. Self promotion can often feel awkward for new bloggers, but if you’re not sharing your hard work, you won’t reap any of the benefits either. Sure, it takes a little bit of time to grow your audience and your social media following, but the rewards far outweigh the cost of patience and diligence. As a beginning blogger, growing your social media channels as an avenue to share your high quality blog content is one of the most important things that you can do. Growing your social media following is simultaneously one of the easiest and the hardest things to do. 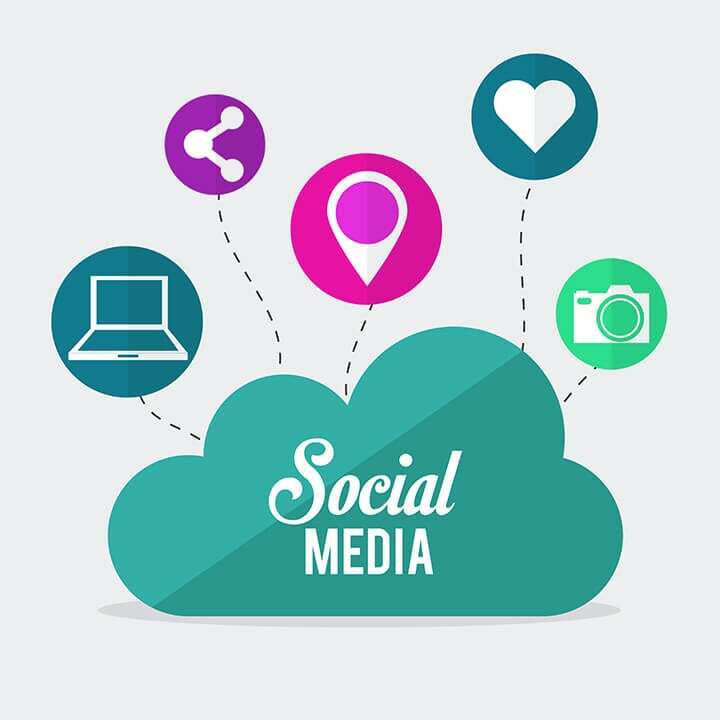 Each social media channel runs its own algorithms that dictate which of your posts will be shown the most frequently (or whether any will be shown at all) and to whom it will be shown. For now, don’t worry about trying to crack these ever-changing codes, and focus instead on being consistent (and consistently awesome!). Start by posting several times each day across your social media channels, and before you know it, your audience will begin to grow. Pinterest is my #1 source of socially-driven traffic, and it’s a fantastic way to increase your pageviews. As I mentioned before, each social media channel utilizes their own algorithm, and Pinterest’s algorithm decides which pins to show its users and which ones will go virtually unnoticed. It is typical for brand new pins to have a lower repin and click through rate, so don’t worry if your new pins need a little bit of time before they start gaining traction. The longer a pin is in the Pinterest system, and the more repins it receives over time, the more it will appear in your followers’ feeds. If you continue to post new pins on a regular basis and repin your older pins from time to time, they will eventually lead to more clicks and more pageviews. Pinterest favors vertical images, so make sure that your blog posts feature at least one vertical “beauty shot” that has been designed for Pinterest. Text overlays and collage photos also tend to do well on Pinterest because users can get all of the information directly from the image without even taking the time to read the pin description. Pinterest also allows you to create and join group boards, which are an excellent way to get your pins and posts viewed by a larger audience. You can read more about how to use group boards to gain exposure here. You can also check out the “Pinterest Collaborative Boards” Facebook group to find boards that are accepting new contributors. TIP: Use a pin scheduler like Board Booster or Tailwind to schedule your pins in advance – you can set it up days, weeks or even months ahead of time! I use Board Booster to schedule my own pins on a constantly rotating basis (set it up once, and it will pin your specified pins for a set length of time or indefinitely – set it and forget it! ), and I use Tailwind to schedule pins from fellow bloggers. I use both of these services every single day, and I can’t recommend them highly enough! Twitter is the fastest moving social media channel, so I highly recommend sharing your new posts on Twitter 2-3 times on the day that it is first published, and once per day for the following 4-5 days. Be sure to space out the tweets throughout the day so that you don’t spam your readers all at once! I generally see a much greater rate of interaction when I include an image in my tweets, but feel free to play around with your posting style, and see what resonates best with your audience. TIP: Schedule Twitter and Facebook posts with Hootsuite or Buffer to save yourself even more time! Create a Facebook fan page for your blog, and use the platform to share your blog content as well as relevant and interesting content from other bloggers in your niche. Facebook’s constantly changing algorithm is one of the toughest on bloggers and small businesses, and Facebook frequently shows posts to only a VERY small percentage of the people who have “liked” a page. Your goal with Facebook is to increase your rate of engagement on each post that you share. More reader engagement = an increase in Facebook views = more blog pageviews. Focus on building an interactive community of readers, and encourage them to share their comments and like your posts. As your page interaction increases, so will your Facebook post reach. While you’re on Facebook, consider joining a few social sharing groups! Members of these groups share links to their latest blog posts and often share links to their Pinterest pins, Twitter tweets, Facebook posts, etc. as well. Group members are usually expected to share/like/comment on other member’s posts in order to boost interaction. This is a wonderful way to get fresh new eyes on your content, increase your social media reach, and ultimately grow your audience. Each share group has its own rules and regulations, so make sure to read the group description and reciprocate your social shares in a timely manner. Bonus: these groups are often a great place to meet other bloggers that you can collaborate and share ideas with! Instagram is my favorite form of social media, but in my experience, it has also been the social media channel that drives the fewest pageviews. Links shared in an Instagram post are not clickable, and users don’t often take the extra steps required of them to visit your blog post. Despite having a lower pageview conversion rate, Instagram is most definitely one of the best places to grow your blogging community. Readers love to see behind-the-scenes photographs and snapshots of your “real life,” so be sure to share your most engaging photos on Instagram along with a well thought-out caption. Hashtags can help you to discover other users with similar interests (and vice versa), but be sure to limit them to a reasonable amount (no more than 10-15 per photo) to avoid looking spammy. Google Plus is a less utilized social media channel (and rumor has it that Google+ will eventually be phased out), but it can provide great benefits with little effort. If you have a gmail account, you already automatically have a Google+ profile, so it’s easy peasy to set it up and get the ball rolling. Google+ is directly linked to Google search results placement, so it’s well worth a few moments of your time to share each of your new posts there. There are also a plenitude of websites where you can submit your crafts, recipes, DIY projects, etc. to be shared. Some of these sites curate a collection of tutorials and photos (similar to Pinterest), some share submissions with readers via their website and/or newsletters, and others are community message boards with a large audience. These can often be a wealth of untapped potential! Keep your name/handle consistent across all social media channels: when you first create social media outlets for your blog, make sure that the name you desire is available on all platforms. Keep track of your social media shares, and try to get in the habit of posting (or scheduling posts) at designated times each day. Once you get into a routine of sharing your posts, it will become second nature. Not all of these social media channels will work for you! You’ll have your favorites, and ones that you get the most interaction with – once you figure out what works best for you, focus on those things! Really enjoying your site. Thanks for the tips! Awesome site, very helpful tips! I just wanted to thank you for these posts. I’ve been mulling over the idea of starting my own blog hoping to supplement my income, but I’ve always felt a bit put off by how convoluted and time-consuming all the setup is. Your steps are laid out wonderfully, and I’ve read through and saved each of your “How to start a blog” posts. Thank you so much for laying everything out so concisely. I finally feel like I could actually make a profitable blog a reality! Great tips, thank you so much! I love all your tips and this tutorials are being great, I follow all the steps and I finally got my blog. There’s a lot of work to do but really I can see my blog as an extra income, and lets say that you’re like my sensei.